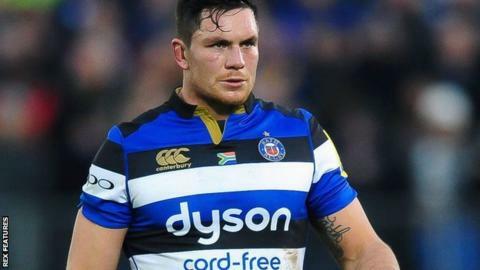 Bath flanker Francois Louw will serve a two-week ban after his appeal against the decision was dismissed. The 31-year-old South Africa international was found guilty of tip-tackling scrum-half Charlie Mulchrone in the first half of his side's win over Harlequins last Saturday. The Rugby Football Union disciplinary panel said they were "satisfied" that the initial decision was correct. He will be able to make his first-team return against Saracens on 26 March.